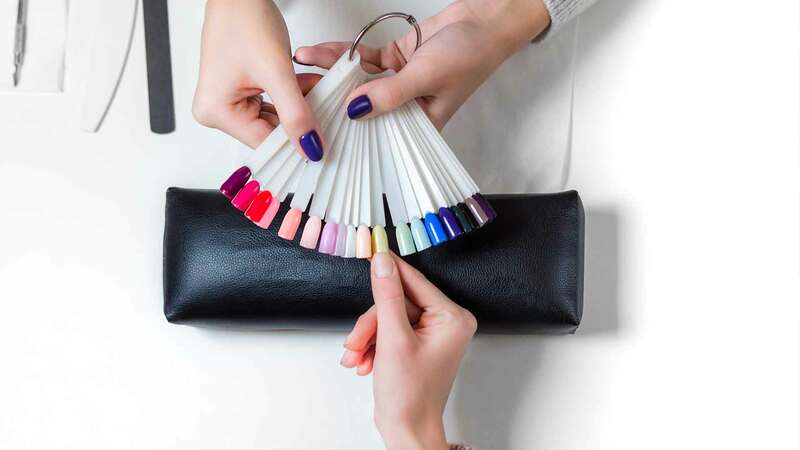 The most fashionable people in Halifax have known for years that Rainbow Nails is the salon to come to if you want nail art that is really you. We have a nearly unlimited selection of colors, and we're passionate about the latest nail art design trends. Whether you're looking for something understated or something a little more daring and decadent, our staff of friendly, professional technicians will work with you to find the design that makes your nails shine. From basic designs to rhinestones and acrylics, from press-ons and prints to stunning hand-painted designs, we know how to make your nails dazzle. Our technicians are obsessed with fashion, and they are eager to provide our Halifax clientele with the sexiest, most chic, and most fashion-forward nail art. How about multicolored nails, either with a subtle gradient or sharp lines? Or a mix of matte and glossy polishes for a design that really pops? We have a wide range of metallic nail polishes that look fabulous either as highlights to more traditional colors or as the basis for an edgy, futuristic design. We have a huge selection of nail jewelry for you to choose from, from metal studs to floral designs that you can add for effect. If you have a design in mind, feel free to bring in a picture or describe it to us, and we will reproduce it at nail scale for you. Or, if you're feeling more adventurous, let us go wild and paint something so vivid and arresting that people will tell you your hands should be in an art museum. This is a great time for you to show off how unique you are. Don't settle for the same boring old nails everyone else has. We'll help you stand out on the streets of Halifax. Let's get artistic!